To book a tour and redeem the voucher go to http://www.illinipubcycle.com, click book here, select Monday – Thursday Individual Tour, submit your request and enter your TheGotSpot promo code in the TheGotSpot Voucher Box. One $100 Voucher redemption per ride. 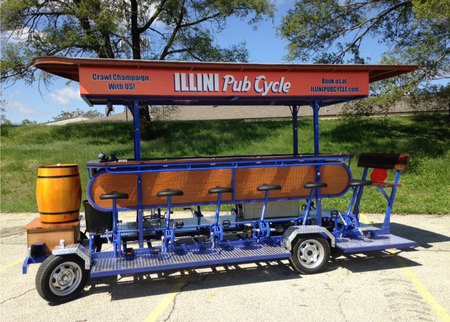 The Illini Pub-Cycle, also referred to as a “Beer Bike, Pedal Bus, or Party Bike” is a 15-person pedal powered rolling Bar. 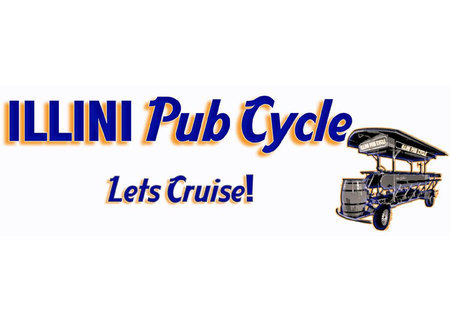 The Illini Pub Cycle offers a unique experience riding around Champaign – Urbana while enjoying a tasty beverage in your hand! ​Perfect for bachelor or bachelorette parties, tailgating parties, company outings, campus tours, clubs, sororities, fraternities, team building activities, Football Games, birthday parties, holiday parties and more! 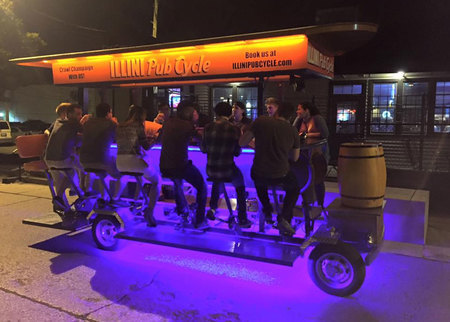 Renting our Beer Bike is the best choice of entertainment for your next outing! For your next Wedding party, forget the Limousine! Rent a slow ride with us!